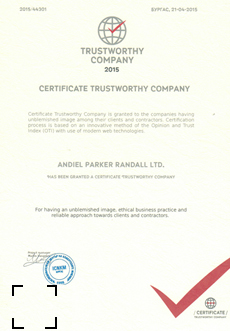 Andiel Parker Randall is a limited liability company represented by Rumen Obreshkov and Tsvete Obreshkova(ACCA). The company holds a "Trustworthy Company" certificate from a representative survey financed by EU programs. Andiel Parker Randall Ltd provides consulting and accounting services to companies from different business segments – advertising, transportation, manufacturing, domestic and foreign trade, telecommunications, real estate, and others. Another primary activity of the company is the delivery of consulting services in the sphere of life-insurance and retirement planning. 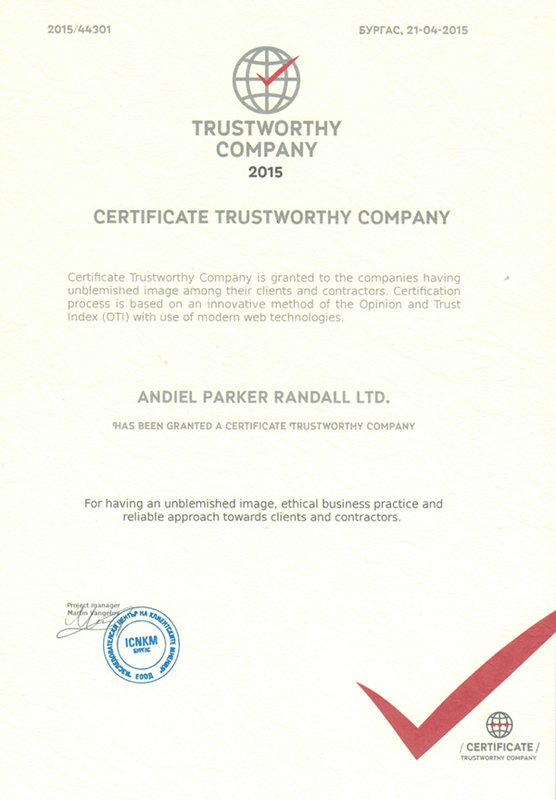 Andiel Parker Randall Ltd offers the products of the largest foreign companies in the industry operating on the Bulgarian market. Working languages - Bulgarian, English and Russian.